Design would meet a visitor with a pretty light background slightly covered with elegant ornament. 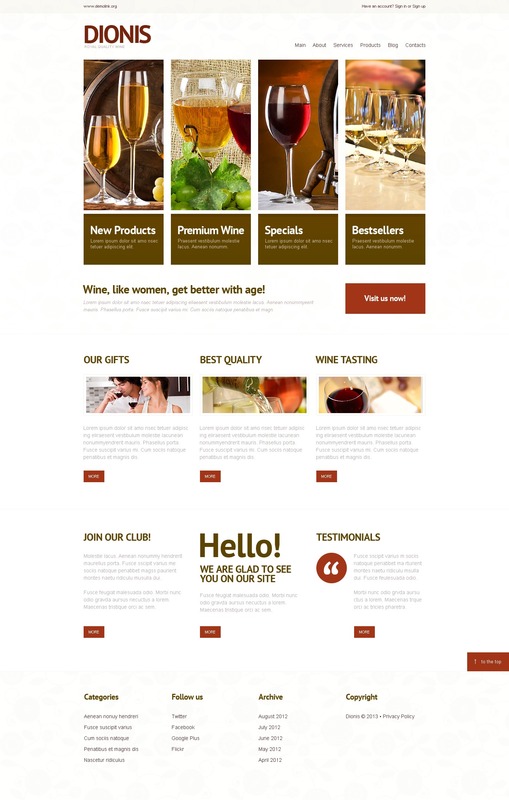 A style of the template is emphasized by elements of red color Ã¢â‚¬â€œ the color of delicious red wine. The tech side can boast of such useful elements as account registration option and a back-to-top button. As usual the best websites over internet. Simple to buy, easy to install and adjust!! Great!